and smaller runs hosted in Anchorage. we’re really looking forward to a repeat experience! For the most up to date race list click here. 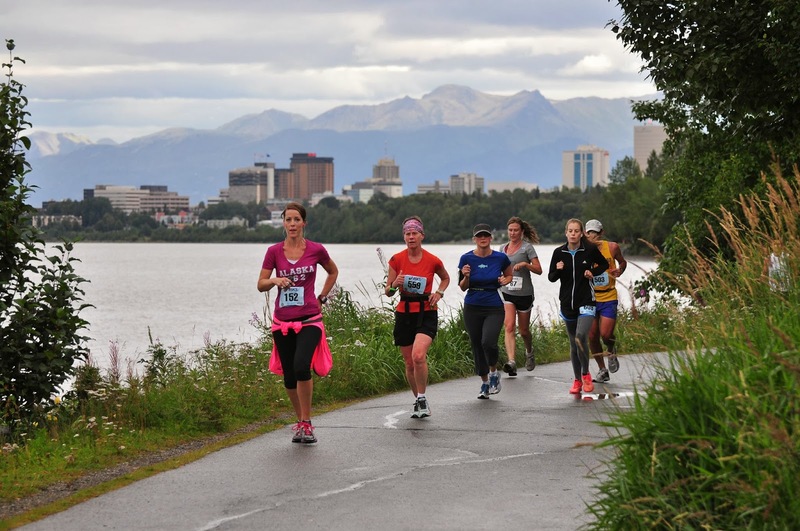 The Alaska Runners Calendar is another good source for races and race updates. Anchorage’s bed and breakfast inns are a great place stay while in town for the race. Why? Because you will get a restful sleep the night before in a convenient, quiet location; a fortifying breakfast, lots of fluids, and plenty of encouragement! If you have special needs, you’ll find help with those as well. So grab your running (or walking) shoes. We’ll see you on the trail! This blog was written by Marilyn Kasmar, Owner/Innkeeper at the 11th Avenue Bed and Breakfast, Anchorage, and member of the Anchorage Bed and Breakfast Association. This entry was posted in Anchorage Events, Summer, Things to Do and tagged Anchorage Events, Summer, Things to Do by admin. Bookmark the permalink.